Receive special monthly discounts on unlimited Taekwondo classes, TKD Fitness, seminars, special events and merchandise when two or more family members begin their journey toward black belt excellence. Perfect for adults and children ages 4 and up. This monthly program includes unlimited Taekwondo classes and discounts on fitness classes, special events, seminars and merchandise. Sign up for our 20 week semester program which includes 17 weekly Taekwondo classes. This program runs twice a year; September through January and January through June. Take your Taekwondo or fitness skills to the next level with one-on-one training sessions led by a Master Instructor or one of our certified fitness trainers. 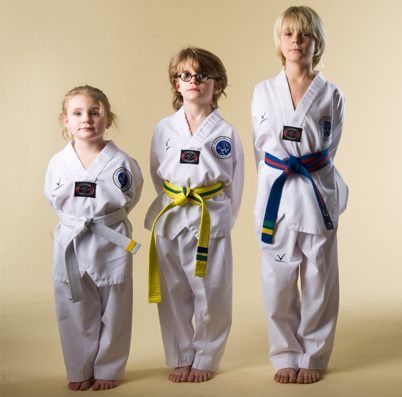 At Central Park Taekwondo, we've created a true family center where fitness, fun and personal growth can flourish for all ages. Think of us as your place to go for adventure, learning, wellness, and community. Join us and discover how the ancient Korean martial-art of Taekwondo can offer you and your family the ultimate training for body, mind and spirit. Our Family Gold Program offers a special group discount when two or more family members join. What better way to empower yourself than with your entire family? Empower yourself with our new cardio packed Taekwondo workouts for the non-martial artist. Choreographed Taekwondo movements are paired with non-stop music for the ultimate fitness program. Burn fat, sculpt muscle, increase coordination and gain confidence, while having fun in this innovative workout program designed by our Master Instructors. Classes held every Saturday morning at 9am.